Investors back North Texas startups and businesses with millions of dollars in funding. Here's a look at funding, mergers, and acquisitions involving companies and nonprofits with North Texas ties. Wildcat Capital Management of Fort Worth led an $11 million Series C financing round as part of a $15 million raise for Sacramento, California-based NeuroVision Imaging Inc., which has an eye-screening test to pinpoint Alzheimer’s disease. According to Crunchbase, Wildcat Capital Management was founded by Len Potter in 2011 with the intent of managing capital for David Bonderman, the founding partner of TPG Capital. NeuroVision holds commercial rights to the eye-imaging technology developed at Cedars-Sinai Medical Center in Los Angeles. The funding will provide support for NeuroVision as it seeks federal approval for its noninvasive eye imaging system that Cedars-Sinai researchers say will permit early, low-cost screening, detection, and treatment of Alzheimer’s disease. Others investing in the round are Johnson & Johnson Innovation, Nikon-SBI Innovation Fund, Whittier Ventures, and VSP Global. Dallas-based KonaTel Inc., a reseller of U.S. wireless service, announced in a Form D filing that it had raised all of a $1.3 million equity offering. The company — founded in 2014 — provides voice and data solutions serving agents, consumers, and businesses in retail and wholesale markets nationwide. Its offerings include mobile voice services, such as wholesale-priced minutes, text, and data to mobile resellers; post-paid cellular services to medium and small businesses, and Internet of Things or wireless data services, according to Bloomberg. McKinney-based ShearShare Inc. has raised $1.1 million in a seed round involving nine investors, according to Crunchbase. The investors are Y Combinator, Structure Capital, Precursor Ventures, James Sowers, David O, Capital Factory, Blackstone LaunchPad, Backstage Capital, and 500 Startups, Crunchbase said. The ShearShare app is the first marketplace that enables barbers and cosmetologists to lease a space to work by the day in cities worldwide. It was founded in 2016 by Courtney Caldwell and her husband, Tye. 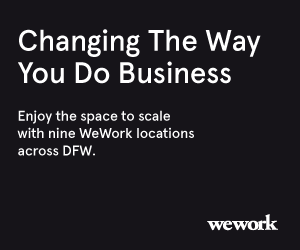 In January, the Caldwells won $100,000 in the Dallas Diversity & inclusion Investment Challenge, put on by the Capital Factory in partnership with DivInc and The Dallas Entrepreneur Center. In 2017, Courtney Caldwell was selected as one of three finalists for L’Oreal USA’s Women in Digital NEXT Generation Awards. Plano-based SalesBoost LLC has raised all of a $875,000 equity offering, the company announced in a Form D filing with the U.S. Securities and Exchange Commission. SalesBoost specializes in hospitality training that develops sales leaders, hotel-based sellers, and global sales, according to the company’s website. SalesBoost is led by CEO and founder Gretta Brooks. Dallas-based Ioogo Inc. announced in a filing with the U.S. Securities and Exchange Commission that it raised all $250,000 offered in an equity raise. Founded in July 2017 by Josh Alballero and Kristy Campbell, Ioogo offers an SaaS platform that allows its customers and vendors to interact effectively. Ioogo’s filing did not say for what the funds would be used. Upventur, the Denton-based social platform for the outdoor travel space, announced Wednesday that is has acquired Yonder, a social networking platform dedicated to connecting outdoor enthusiasts. No terms of the deal were released. Upventur said that it would maintain the Yonder brand for now, but that rebranding would take place at a later date. The company said that current Yonder users would keep their existing profile and would receive instructions for an Upventur login. Fort Worth-based Galenfeha Inc. announced Thursday that it signed a letter of intent to acquire oil and gas measurement company Fleuax Services of Louisiana LLC for $18 million. Galenfeha, founded in 2013 by James Ketner, said the transaction is contingent on it being able to raise the funds, and has engaged Paulson Investment Co. LLC, a Wall Street firm, as lead placement agent for financing the deal. With the Fleaux acquisition, founded six years ago by Trey Moore, Galenfeha will generate revenue through government contracts, the company said in a release. Moore recently was named CEO of Galenfeha.